Made with real natural stone and slates, our veneers have the character and beauty of traditional stone tiles. They are ultra-thin, light and flexible so can be moulded and wrapped around columns and walls. 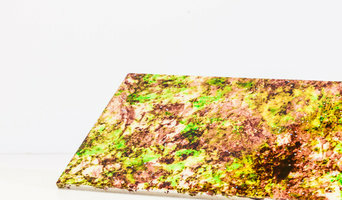 A great alternative to traditional tile and stone as they are more cost-effective and easier to install. We supply the 100% natural slate veneers, which are designed and created in Germany. We stock 20 different types and colours of slate and stone veneer. We deliver nationwide by courier and offer a supply and fix option for all of our materials. Slate veneers can be used for many interior applications including wall coverings, flooring, fireplace surrounds, doors, and furniture. Visit our site or give us a ring to learn more about our products. Order your slate sample online. Pink Evolutions are passionate about providing high quality and unusual paint finishes to furniture, mirrors, objects, sculptures and other pieces - making them unique and individual to our clients design and taste. 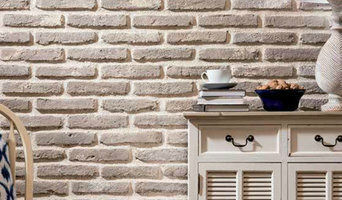 Kuci Design offer a wide range of brick slip cladding, Retro Industrial Furniture and Industrial Lighting to Shop Fitters, Architects, Contractors, Interior Designers, Construction Companies and Home Owners. As an online retailer we combine excellent quality with extremely competitive prices. Our products can be purchased from our website 24 hours a day, 7 days a week. We supply a range of stunning and unique bricks slip and timber wall cladding to UK architects, interior designers, construction companies and home owners. Combining quality products, excellent service and attractive prices, making it smooth and simple to find the perfect cladding product for you. At Metal Monkey Designs Ltd, we are passionate about design coatings. We can transform virtually any surface into a stunning visual creation, using single or multi-mixed technologies and techniques which we have developed in the coatings industry for over 25 years. 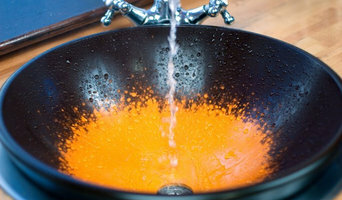 We are based in the heart of the UK, we are the experts in liquid metal and special effect design coatings. This makes Metal Monkey Designs a unique one stop shop for all your coating projects. Blackpop’s elegantly distressed wallpapers, plush velvet fabrics and upholstered furniture, punk up the rich tapestry of the past, to create opulent yet random anarchic patterns on richly figured fabric and wallpaper. All Blackpop designs are proudly manufactured in the UK using the latest in environmental digital print technology. Blackpop’s wallpapers, fabrics and furniture are aimed at those who want rich statement pieces that evoke splendid bohemian decadence for the home and commercial interiors. A bespoke painting company offering unique and personalized design to all its clients. Specialists in luxury wallpapers, fabrics and paint. So you need some help with your project? Maybe it's just some advice in-store to help steer you in the right direction. But if you are totally lost and want more detailed advice, maybe our interior design service is what you are in need of. For a fixed fee, we will come out to your home and discuss what you are after and what you might like. We will take you through the options, matching your needs and budget to brands available to give you a space you can be proud of. Our hand crafted designs try to emulate the beauty of those split second moments, the moments you never forget, as we look to capture the energy, passion and euphoria that erupts from that one magical kick of a football. We only produce a limited number of each design, so your print, like any good piece of art, are exclusive and completely original. International suppliers of Antique Prints and Maps to the trade and collectors. Clients include Interior Design Firms, Architects, Re-Sellers, Individual Collectors and Decorators. If painting your walls or installing wallpaper aren’t your favourite jobs, it’s very well worth considering hiring a professional for it. Not just for the obvious time-saving, but there’s actually more to a good paint or wallpaper job that you might think! Whether you’re looking to paint your bedroom or living room, you’re always starting from the all-encompassing question of which colour to paint your walls or which wallpaper to choose. The next challenge is selecting the best product for your needs. And don’t even mention the work involved in preparing the wall and applying the paint so it lasts. 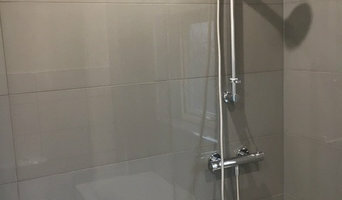 If you’re looking for a professional house painter or wallpaper installer in Nottingham, Nottinghamshire, UK you’ve come to the right place. You’re sure to find the best painter for your job in the Houzz professional directory. Here on Houzz, you’ll also find Nottingham, Nottinghamshire, UK professionals who can create a more creative wall design for your home, including wall murals or custom wallpaper. Murals drawn by an artist will often require a large space, but it’s worth investigating if you’d like a one-off feature wall every visitor will remember. If you’re after advice rather than application, here you’ll also find colour specialists that can help you in your quest for choosing the right paint colours or wallpapers for your abode. Scroll through this page to find painters and wallpaper installers in Nottingham, Nottinghamshire, UK. You can browse their latest projects, read reviews to see how other homeowners rate their work, and message them directly.